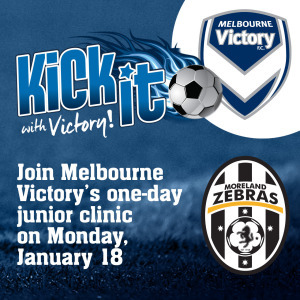 Moreland Zebras is hosting ''Kick it with Victory'' Clinic. 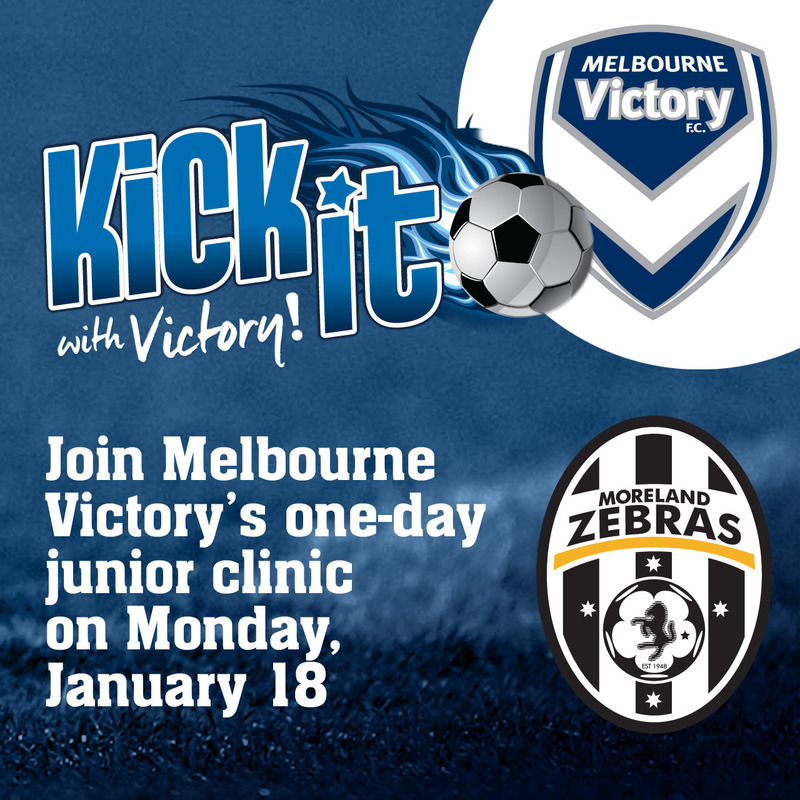 In conjuction with Melbourne Victory, Kick it with Victory is a one day football clinic for all young junior players in the local and surrounding areas. Every participant receives a Melbourne Victory football and training top. BYO Lunch. Water and fruit provided.